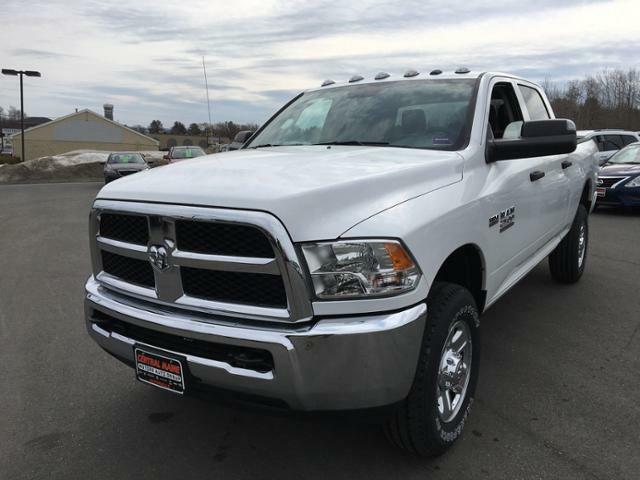 Only 7 Tradesman 4x4 Crew Cab 6'4 Box models left in stock! 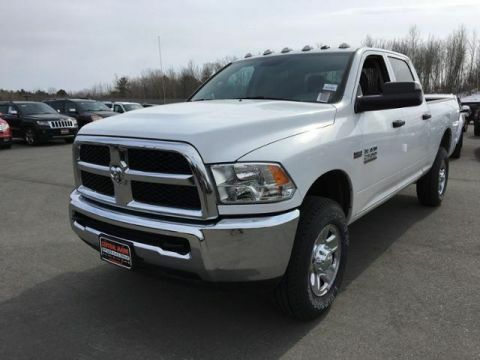 4x4, Bed Liner, iPod/MP3 Input, Back-Up Camera, Tow Hitch, POPULAR EQUIPMENT GROUP, TRANSMISSION: 6-SPEED AUTOMATIC (66RF... SNOW CHIEF GROUP, CHROME APPEARANCE GROUP. Bright White Clear Coat exterior, Tradesman trim READ MORE! CHROME APPEARANCE GROUP Bright Rear Bumper, Tires: LT275/70R18E BSW AS, Bright Grille, Wheels: 18 x 8.0 Steel Chrome Clad, Bright Front Bumper, 18 Steel Spare Wheel, SNOW CHIEF GROUP Transfer Case Skid Plate Shield, Anti-Spin Differential Rear Axle, I/P Mounted Auxiliary Switches, Clearance Lamps, Tires: LT275/70R18E OWL On/Off Road, RADIO: UCONNECT 3 W/5 DISPLAY 5.0 Touchscreen Display, Overhead Console, Rear View Day/Night Mirror, GPS Antenna Input, Temperature & Compass Gauge, Integrated Voice Command w/Bluetooth, Charge Only Remote USB Port, SiriusXM Satellite Radio, For More Info, Call 800-643-2112, 1-Yr SiriusXM Radio Service, POPULAR EQUIPMENT GROUP Remote Keyless Entry, Carpet Floor Covering, Front & Rear Floor Mats, SiriusXM Satellite Radio, For More Info, Call 800-643-2112, 1-Yr SiriusXM Radio Service, SPRAY IN BEDLINER, ENGINE: 6.4L HEAVY DUTY V8 HEMI W/MDS GVWR: 10,000 lbs, 11.50 Single Wheel Rear Axle, 180 Amp Alternator, POWER BLACK TRAILER TOW MIRRORS Trailer Tow Mirrors, Exterior Mirrors Courtesy Lamps, Exterior Mirrors w/Supplemental Signals, TRANSMISSION: 6-SPEED AUTOMATIC (66RFE) (STD).